The Dunlop Force Team 23 junior tennis racket is for 6 - 9 year olds or those who are 4’ - 4’6” (122 - 137cm) tall. 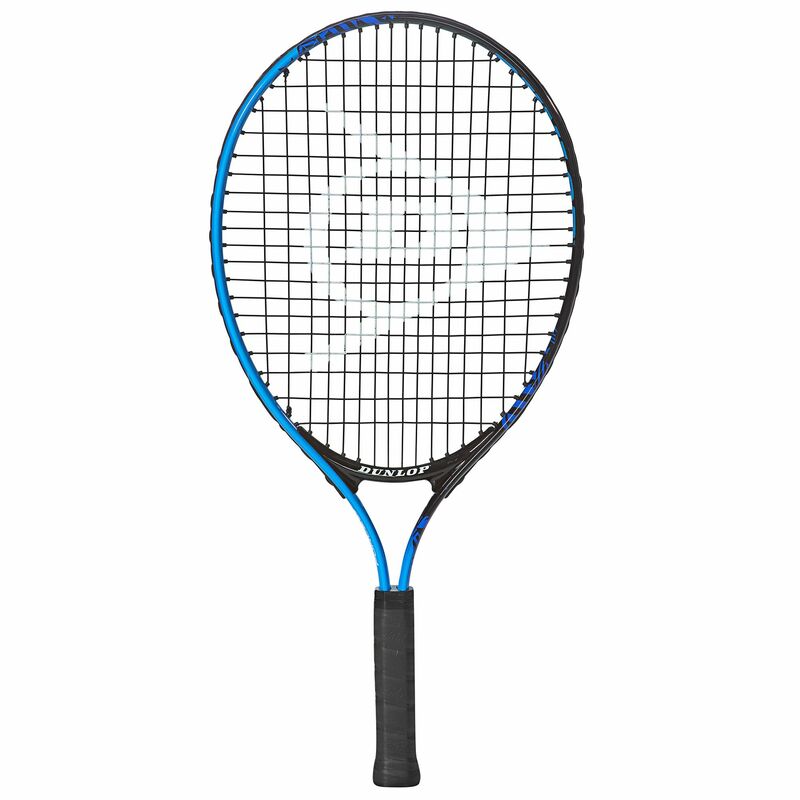 The O-Beam titanium alloy used in making the frame keeps the racket strong yet manoeuvrable, and the weight has been kept down too, thanks in part to the reduced racket length. The racket comes ready strung with a 16x19 string pattern, so the young ones can get straight into playing out on the court. A head cover is supplied to protect the racket. for submitting product review about Dunlop Force Team 23 Junior Tennis Racket.